On our upcoming trip to Vegas next month, Gerry and I will take a giant leap and cross off another item off our bucket list. 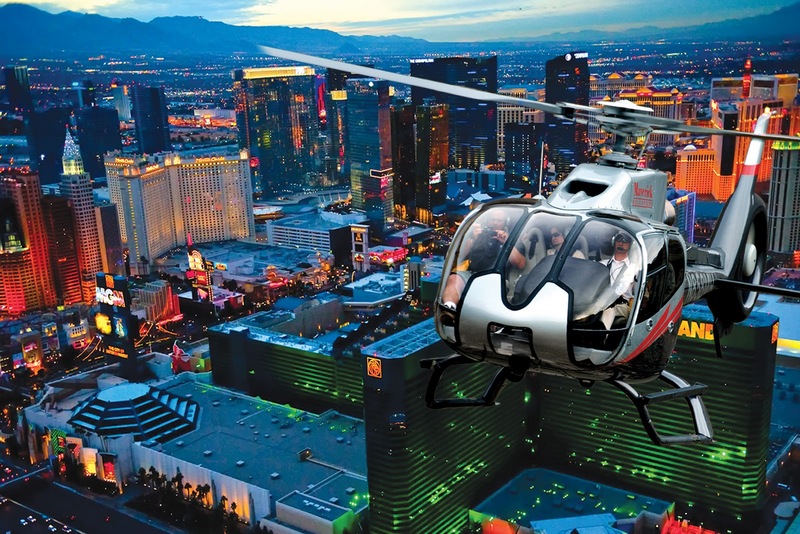 We will be taking in the grandeur that is Las Vegas at night with a helicopter ride with Maverick Helicopters. The company started in 1995 by a husband and wife team, with a mission to provide the finest level of service as expected by the VIP guests of the resorts and hotels in the City of Lights. The passengers experience personal narration with specialized voice activated head sets that allow them to communicate with each other as well as the pilot. 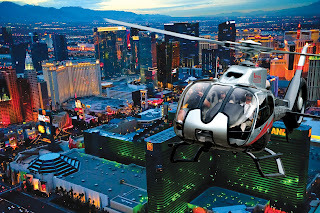 There are a number of trips that are offered, including Vegas by day or night, a helicopter tour with a Grand Canyon landing, a tour of the Grand Canyon and surrounding attractions which include a brand new glass bridge skywalk, which allows visitors to walk beyond the canyon walls.Personally, we will be taking the Vegas Nights ride. The tours vary in price and length of time to accommodate those on tight time schedules or a tight budget. The company features ECO-star helicopters which aid in noise reduction and have more seating and cabin space than the traditional model-these days it’s more comfortable than the average plane seat. The Maverick’s helicopter tours safety record is among the best in the world, which is very comforting as you dangle a thousand feet in the air. We are very excited about our first helicopter flight and cannot wait to be a part of the Vegas night sky. We look forward to having you fly with us and we can't wait to show you the Las Vegas Strip from the best seat in the house...uhh...sky! Be sure to follow us on Twitter (@MaverickVegas) and on Facebook (www.facebook.com/MaverickHelicopters) so you can stay updated on all things Maverick and share your photos after your flight!